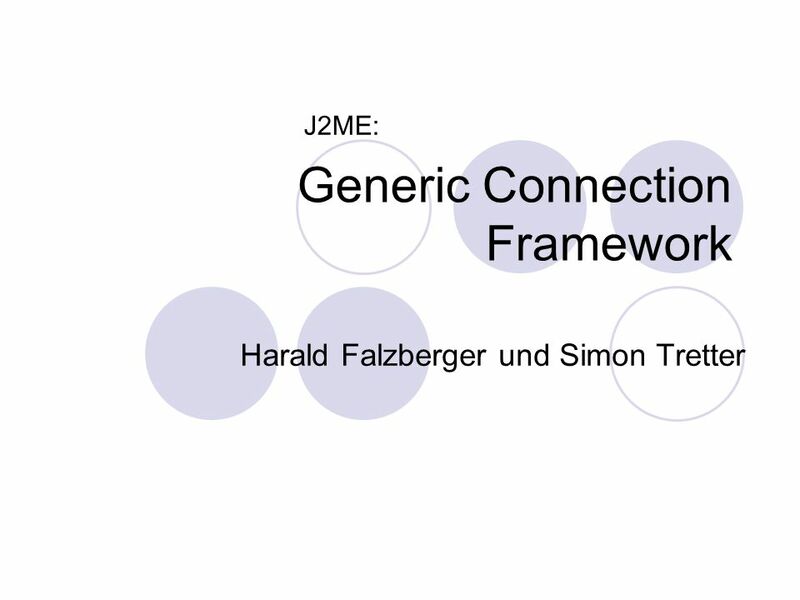 Download ppt "Generic Connection Framework Harald Falzberger und Simon Tretter J2ME:"
XML Configuration in Java David Roossien CS62112/2009. 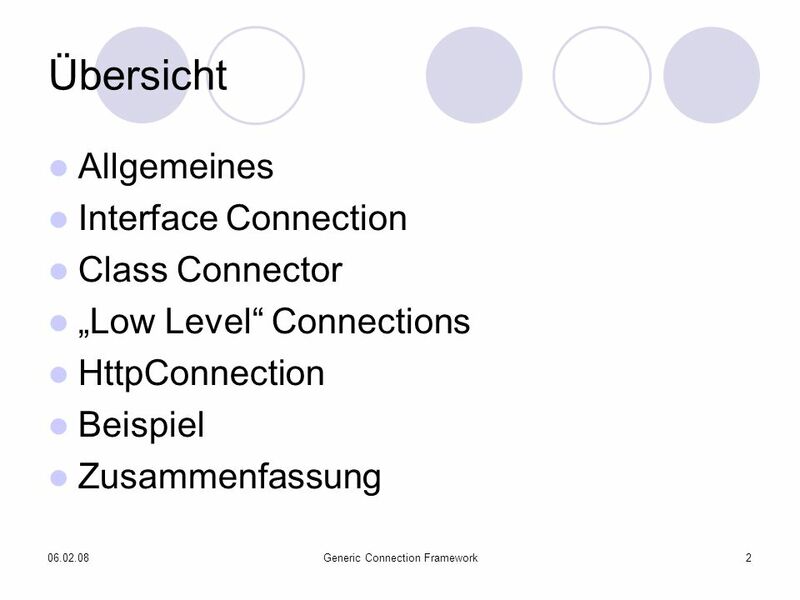 Servlets. 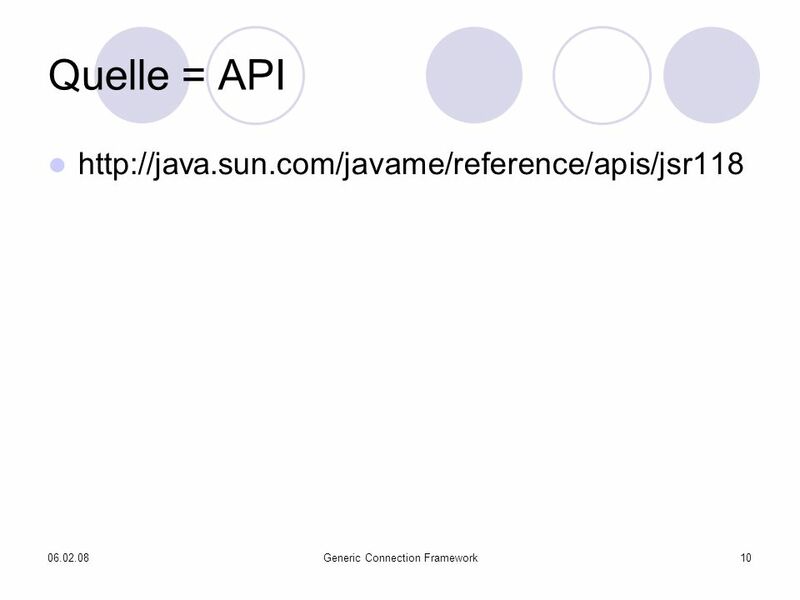 Servlets are modules that extend Java-enabled web servers. 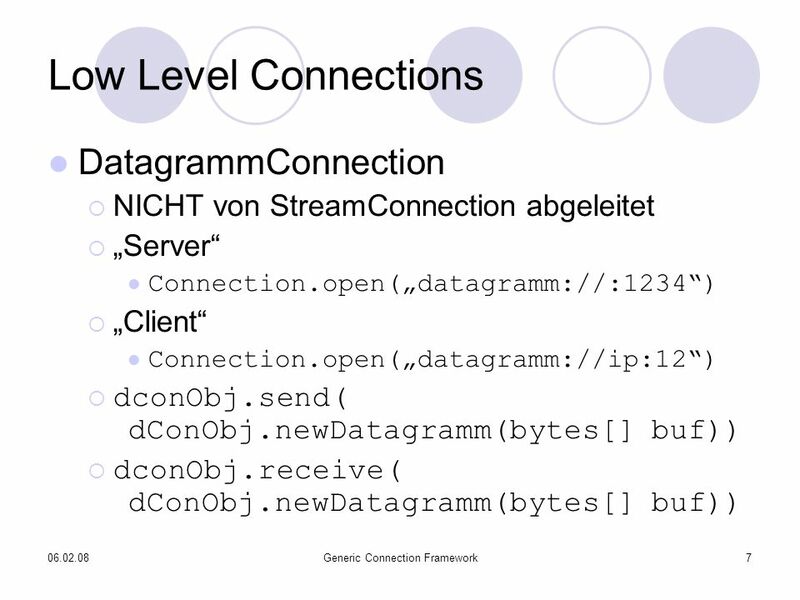 For example, a servlet might be responsible for taking data in an HTML order-entry. 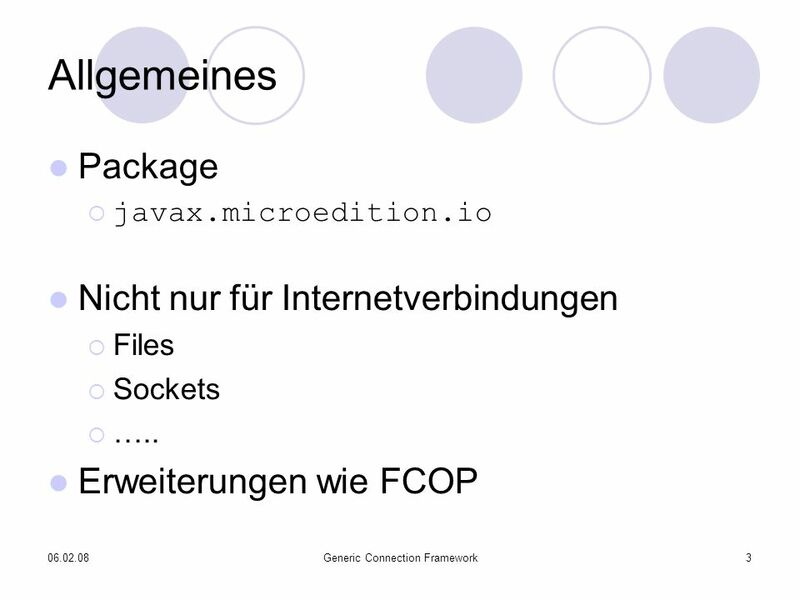 AQute Bundle Programming By Peter Kriens CEO aQute OSGi Technology Officer and OSGi Fellow. Bruce Scharlau, University of Aberdeen, 2011 Bluetooth Considerations Mobile Computing Some slides from MobEduNet. 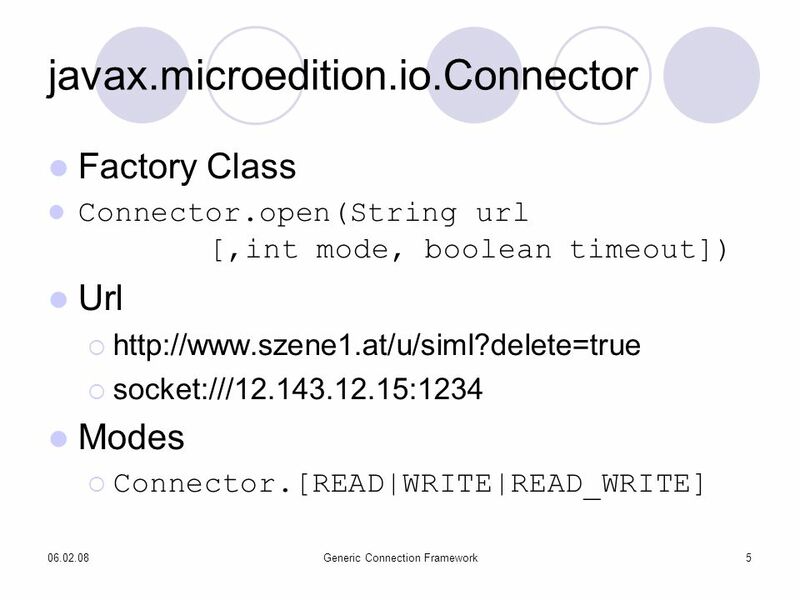 Bruce Scharlau, University of Aberdeen, 2012 Networking for Mobiles Mobile Computing Some slides from MobEduNet This covers HTTP in detail, and mentions. 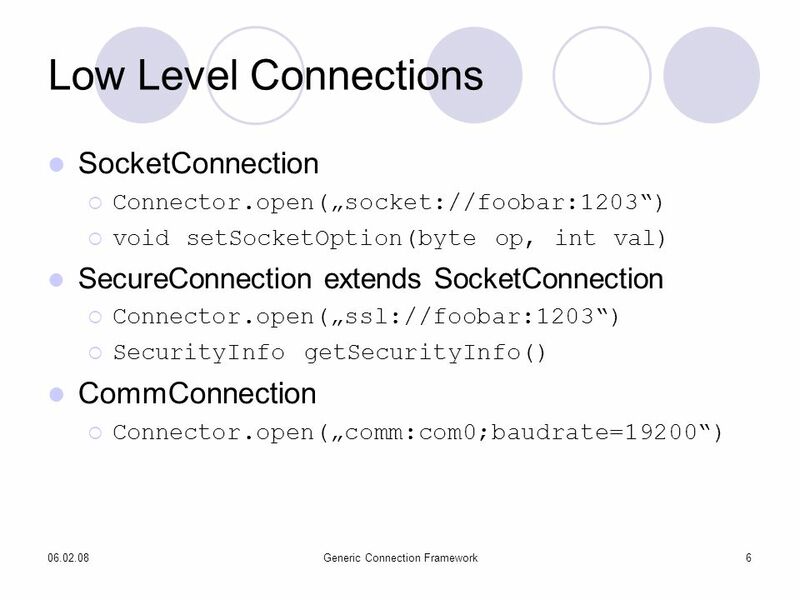 Bruce Scharlau, University of Aberdeen, 2010 Java ME Networking Mobile Computing Some slides from MobEduNet This covers HTTP in detail, and mentions other. Technische universität dortmund Service Computing Service Computing Prof. Dr. Ramin Yahyapour IT & Medien Centrum 24. November 2009. 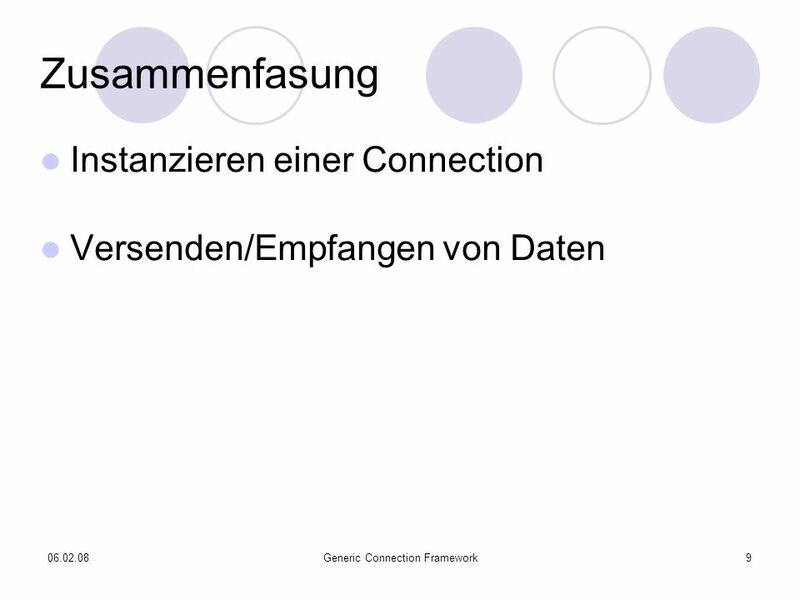 Session Tracking Problem: Identifizierung und Speicherung persönlicher Daten Warenkorb Lösung: Session mit ID Anmeldung ID REQ + ID RES ID: JKLMGHNB45kdse43k. 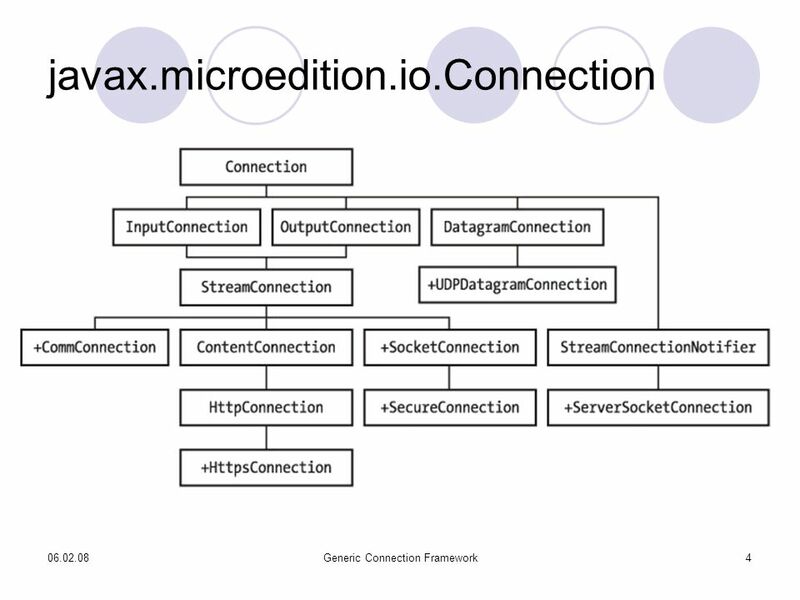 Creating Custom JSP Tag Libraries Taken from Core Servlets and JavaServer Pages from Prentice. 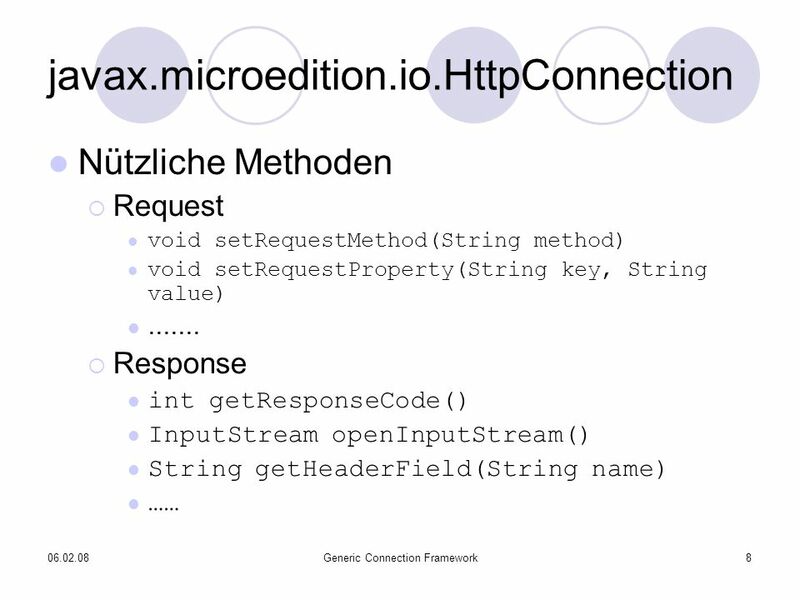 JAX-RS – REST in Java. MIDP Mobile Information Device Profile Johnny Yau CIS 642 Prof. Insup Lee. Linked List A linked list consists of a number of links, each of which has a reference to the next link. Adding and removing elements in the middle of. 1 Network Programming and Java Sockets Rajkumar Buyya Grid Computing and Distributed Systems (GRIDS) Laboratory Dept. of Computer Science and Software.